Our storage hoppers are fully assembled and come in two sizes: small and large. Our small hopper will store around 160kg/210 litres of pellets, whilst a large hopper holds around 320kg/450 litres of pellets. Buffer tanks are an essential part of kit within modern renewable heating systems. Their job is to hold water and they’re normally fitted to help improve the efficiency of renewable heating appliances. Buffer tanks come with a range of options and to suit varying needs. To find out more about our range of tanks and cylinders go to our Cylinder & Buffer’s product page. A flue is an integral part of a heating system, in biomass a twin wall insulated flue is required. 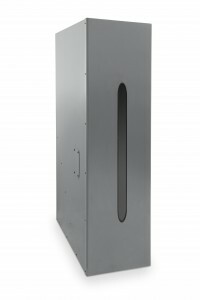 At Thermsaver our flue range incorporates high thermal performance and ease of installation. Our biomass systems are designed to work with EN plus A1 pellets. Finding a local pellet supplier is essential in order to get the most out of this fuel source. There are many supplier across the country, offering varying methods of delivery. Thermsaver would recommend searching through The Biomass Energy Centre’s fuel supplier list, which operates in conjunction with The Carbon Trust. The database allows you to breakdown your search by area, fuel source and accreditation. Silos are the perfect solution for the external storage of moisture sensitive wood pellets in biomass. Thermsaver’s range of Silos extends from 2 tonne – 50 tonne and are of the highest quality ensuring no leakages, corrosion or condensation can filter in through the material. If you would like any more information or advice on any of our biomass products and services, please don’t hesitate to call us on 01698 300100. Our team are always on hand to give support and guidance.